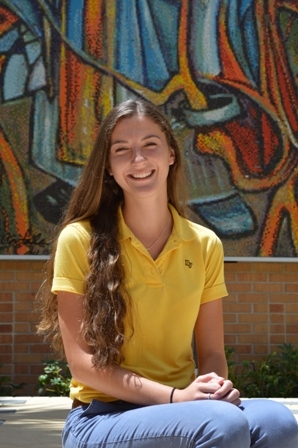 Bishop Verot Catholic High School is pleased to announce that Miss Junco Nelson has been named Semifinalist in the 2016 National Merit Scholarship Program. Out of approximately 1.5 million juniors who entered the competition by taking the 2014 PSAT, only 16,000 of the highest scorers are named Semifinalists, representing less than one percent of U.S. high school seniors. Semifinalists will now try to qualify as Finalists by completing the National Merit Scholarship Application, which also provides them with the opportunity to compete for scholarships. Congratulations Junco Nelson.